The modest mill town of Macclesfield in the foothills of Cheshire's Peak District could not be more different to the congested city of Xi'an, lay on the Guanzhong Plain in central China. But these two deeply divergent cultures are becoming entwined as governments from both countries have embarked on an initiative to bring cultural awareness and develop language skills of students in primary and secondary education. Part of the educational project comprised of 120 headteachers from the UK visiting China to commence on a challenge to transport Chinese influences and introduce the language into the lives of British schoolchildren. The visits have been jointly funded by the UK's department of children, schools and families (DCSF) and Hanban, the Chinese government agency responsible for promoting Chinese study overseas. Celia Pickard, headteacher of Hurdsfield Primary School in Macclesfield, was part of a cohort of eight headteachers who were posted at a school in Xi'an in late May. 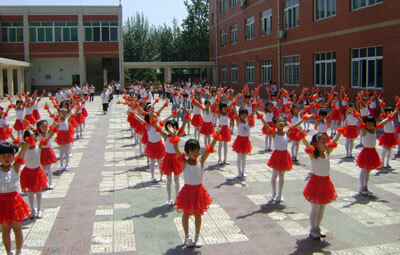 The party spent two days at the school learning about Chinese education and teaching practices. In conclusion to their observations was a formal signing ceremony where an official "memorandum of understanding" was passed on to develop the learning experiences of the two cultures. Part of the bilateral action plan between Hurdsfield Primary School and the school in Xi'an is to have a "food week", whereby both schools spend a week eating the food normally consumed by their foreign counterparts. Mrs Pickard is extremely enthusiastic about the project and felt encouraged by her visit to China. The headteacher commented, "This is a wonderful opportunity for my children. The prospect is there for a very successful partnership, dependent on the commitment of the headteachers and schools concerned and continued financial backing from the government." The fact that the UK government is "putting its money where its mouth is" by funding the project, is confirmation of the government's growing responsiveness that pupils in Britain need to gain insight into the Chinese culture and language. This recent British and Chinese collaboration is further evidence how China is opening up to the world and how its growing reach is forging new alliances and a deeper understanding of China to a worldwide audience. It is because of this percolating power that learning to speak Chinese is becoming increasingly popular and why the British government is eager that children have the opportunity to learn Mandarin, the standard Beijing dialect. Of course, it is not just the British government who is recognizing the importance of learning to speak the language of the country whose governance is rapidly ascending. Legendary American investor and financial commentator Jim Rogers is so convinced that China will soon be the most powerful country in the world, he moved from New York to Singapore last year so that his two daughters could learn Mandarin. According to the 65-year-old investment guru: "This is why my two daughters, five years old and five months old, learn Chinese. For those of my daughters' generation, Chinese and English will be the two most important languages in the world. 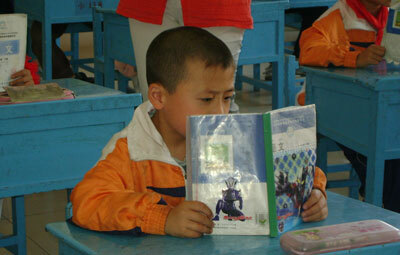 When they grow up they will find China to be the most powerful country." Celia Pickard echoes Roger's beliefs that Mandarin is the language of the future. The headteacher said: "Mandarin is a very exciting language and I would choose it over languages such as French in my school, because like English, Mandarin is a world language. Its significance in the future will be phenomenal." 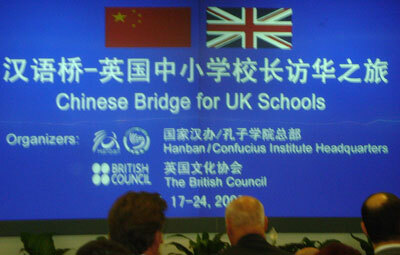 The bilateral education program between Britain and China is the latest of a series of joint projects between the two countries. China has also entered into an affiliation with the UK's department for international development, aimed at monitoring and controlling the social and environmental impact of Chinese investment. Chinese President Hu Jintao took center stage at the G20 meeting in London, highlighting the importance of "bilateral relationships". Britain and China are also uniting in the fight against global climate change by jointly promoting carbon capture. The UK's Climate Change and Energy Minister Ed Miliband also recognized China as an emerging great power, with the ability, not only to act, but to lead and to exert great influence and energize others around the world. But perhaps the most significant of Britain's growing mutual alliances with China is the collaboration between schools because the future lies in the hands of children and is a future which the Mandarin language may prove priceless.